(i) The Kaveri saga began in 1976 with the founder G.V.Bhaskar Rao a science graduate with his wife G Vanaja Devi as co-founder establishing a small seed production facility in Gatla Narsingapur village of Andhra Pradesh. In continuance of this entrepreneurial voyage, the idea sprouted as Kaveri Seeds and the company was formally incorporated in the year 1986. 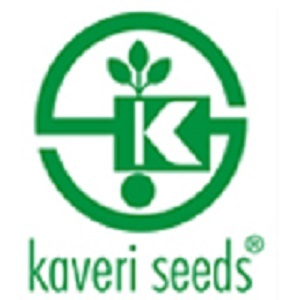 (ii) Currently, Kaveri is one of the fastest growing seed company in India with a large network of over 15,000 distributors and dealers spread across the country. With over 700 employees and a strong product line of hybrids. The company is poised to go greater heights with its renewed focus on R&D and strong intent to invest in innovation by the management to deliver all brand promises. With one of the largest anthology of crop germplasm in the country, Kaveri’s draught and disease resistant as well as high yielding hybrid and varietal portfolio include Cotton, Corn, Rice, Jowar, Bajra, as well as vegetables such as Tomato, Okra, and gourds. a) Maintaining strong relationships with the farmers as well as channel partners Delivering value to all stakeholders. b) Exceeding customer expectations in quality, responsiveness, and delivery Upholding a commitment to corporate citizenship by way of handholding farmers Building and retaining a diverse pool of talented employees An aggressive R&D and research focus to incessantly deliver the best of science. 1. Firstly to be eligible for the buyback the investor should have shares of Kaveri Seed Company Limited in demat or physical form as on record date on 03.08.2018. 2. Once you have shares in demat, you can participate in the buyback process which is opening from [27.08.2018 to 07.09.2018] by selling your shares through your broker on NSE or BSE. 3. Then on [17-09-2018], the settlement will be done for accepted shares and unaccepted shares will be returned to your demat account. (i) Nevertheless, this Buyback has proved to be beneficial for the shareholders as the price of a share during buyback announcement was around 505 on 24 May 2018. So let us calculate the actual profit one get in roughly 3 months and 15 days. (ii) At the time of the announcement, whosoever bought a share at a price of Rs. 505 worth Rs. 2 lakhs, the total shares bought were 296. Assuming 17% of acceptance ratio and remaining 83% sold today at CMP of 636. The Total Profit would be 40726 which is close to 20% return on 2 lakhs. Today is the last date of closing. Total shares tendered so far are 5452857 and no. of shares offered were 2369000. Out of this 20,51,155 no. of shares are tendered by Retailers and total reservation for retailers was 3,55,350, so Acceptance Ratio based on this figure would be 17.32%. what is the excact buy back ratio..?? It will available soon on BSE after the closure of the buyback.